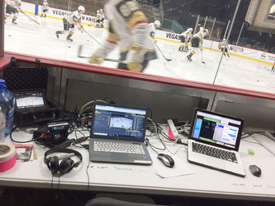 Live Webstream and Production Supervising during the NHL’s 2018 NHL Pre-Seasons Rookie Games at City National Arena in Las Vegas. Production support by offering TD/On-Site Management and Live Webstream Manager. 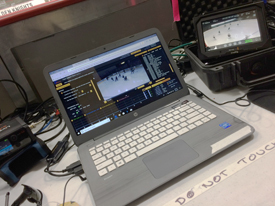 Setup included repeated Single Camera, Announcer Booths, in multiple rinks for similar games shot and webcasted throughout the weeks. This entry was posted in Broadcast production, Engineer In Charge (EIC), Flypack/Live Production, Las Vegas Video Production, Live Webcast, Sports Broadcast. Bookmark the permalink.